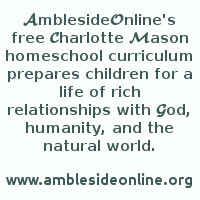 As a help for scheduling Year 11 Basic Version of AmblesideOnline's curriculum, we are pleased to offer printable charts, the weekly assignments in list form below, or families may choose to use a modification of either for their own personal use. However, please see Our Fair Use Policy before sharing any part of the curriculum. Poetry of Edna St. Vincent Millay? Essays: either online, or the book "Ex Libris"
7 Men Who Rule the World from the Grave ch 2 "Thinking Further About Science"
7 Men Who Rule the World from the Grave ch 3 "Social Darwinism"
Speech 1: Woodrow Wilson, entering World War I, April 2, 1917 "War Message"
7 Men Who Rule the World from the Grave ch 7 "The Coming of the Strange Fire"
Optional speech: Franklin Roosevelt's First Inaugural Address March 4, 1933 "The only thing we have to fear is fear itself." Optional speech: Edward VIII abdicates the throne of England--December 11, 1936 "the woman I love"
Hazlitt Economics in One Lesson: ch 11. Who's "Protected" by Tariffs? 7 Men Who Rule the World from the Grave ch 12 "Who Shall Overcome?" Speech 5: Franklin Roosevelt's Pearl Harbor address, December 8, 1941 "a day that will live in infamy"
Six Easy Pieces: pg 69-72 What is energy? Speech 8: Douglas MacArthur's farewell to Congress April 19, 1951 "Old soldiers never die"
Hazlitt Economics in One Lesson: ch 20. Do Unions Really Raise Wages? Our National Parks ch 1 Of the West to "as soon as their families are able to fly well." 'Give a month at least to this precious reserve. The time will not be taken from the sum of your life. Instead of shortening, it will indefinitely lengthen it and make you truly immortal. Nevermore will time seem short or long, and cares will never again fall heavily on you, but gently and kindly as gifts from heaven.' OR The Life of the Caterpillar ch 1 View processionary caterpillars here. Optional speech: Douglas MacArthur's address at West Point May 12, 1962 "Duty, honor, country." Speech 9: J.F.Kennedy's Inauguration January 20, 1961 "Ask not what your country can do for you..."
Amusing Ourselves to Death ch 1 "The Medium is the Metaphor"
Speech 11: MLK Jr - 5. August 28, 1963--"I Have a Dream"
The Life of the Caterpillar ch 4 OR Our National Parks ch 1 from "The Mount Rainier Forest Reserve" to end of chapter. Amusing Ourselves to Death ch 2 "Media as Epistemology"
The Life of the Caterpillar ch 6 OR Our National Parks ch 2 from "The stones of this divine masonry" to "the Strokhr 162 feet." Amusing Ourselves to Death ch 3 "Typographic America"
Six Easy Pieces: pg 107-112 What is gravity? The Life of the Caterpillar ch 7 OR Our National Parks ch 2 from "In New Zealand" to "left of the ancient volcanoes." Amusing Ourselves to Death ch 4 "The Typographic Mind"
Amusing Ourselves to Death ch 6 "The Age of Show Business"
Optional speech: Ronald Reagan--D-Day Memorial--June 6, 1984 "These are the boys of Pointe du Hoc." Optional speech: Ronald Reagan--Challenger Disaster Address Jan 28, 1986 "they touched the face of God." Amusing Ourselves to Death ch 7 "Now . . .This"
Speech 12: Ronald Reagan--Brandenberg Gate June 12, 1987 "Mr. Gorbachev, tear down this wall!" Amusing Ourselves to Death ch 8 "Shuffle Off to Bethlehem"
The Life of the Caterpillar ch 12 OR Our National Parks ch 4 from "The mountain pine" to "singularly rich and sumptuous." Amusing Ourselves to Death ch 9 "Reach Out and Elect Someone"
The Life of the Caterpillar ch 13 OR Our National Parks ch 4 from "The flowers are in their prime" to "above Hetch-Hetchy." Amusing Ourselves to Death ch 10 "Teaching as an Amusing Activity"
Amusing Ourselves to Death ch 11 "The Huxleyan Warning"